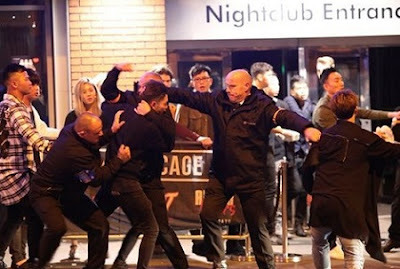 Shocking pictures show how a vicious brawl erupted outside a Manchester night club in the early hours of today. 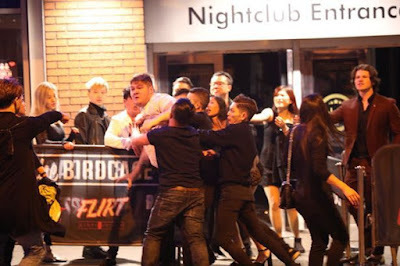 Witnesses described how trouble flared between around a dozen men and bouncers outside the Birdcage in the city centre at around 3am. 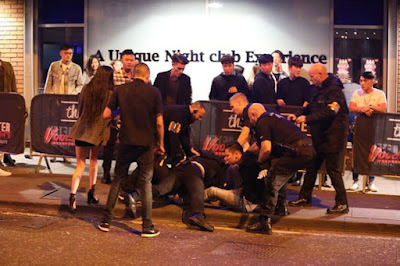 Revellers were seen grappling with door men on the pavement outside the Withy Grove nightclub, spilling onto the road. People were seen falling over after punches were thrown. Others tried to separate those fighting. 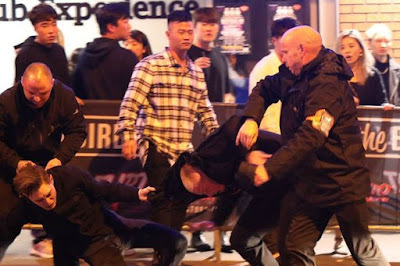 Greater Manchester Police is investigating the incident, a spokesman said.